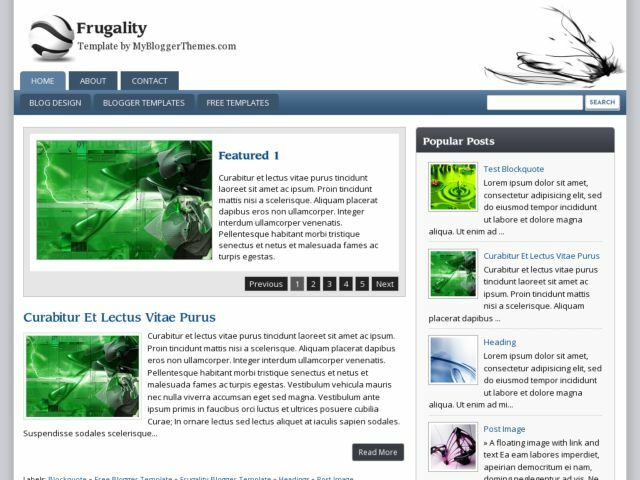 Frugality Blogger Template is a free blogger template with a simple design but has the strength in it, looks sturdy with 2 columns and sidebar is located on the right side. Some features of this template: slidshow menu, rounded corners, horizontal menu at the top and the static page menu that appears automatically when you create a static page. In the post, there are also related post menu with the thumbnail. Very good and suitable for all types of blogs.